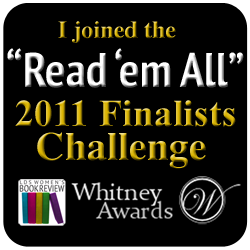 Today is the last day to vote for your favorite 2011 book cover. It ends at MIDNIGHT, Mountain Time, tonight. As you spread the word, tell your friends to vote for the cover they like best. It may very well be your cover. But then again, it may not be. I realize I can’t control this and you may not be able to control it either. I mean, your mother is going to vote for your cover even if she thinks it’s the most hideous thing she’s ever seen. Just saying, please, encourage people to vote for the cover they find the most visually appealing. 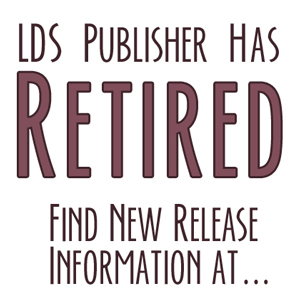 LDS Women’s Book Review is sponsoring their 2nd Annual “Read ‘Em All” Challenge and I’m signing up! I didn’t get all of them read last year, but this year, I’m on schedule! Let me know in the comments if you’ve joined too. I want to know how steep my competition is.